10. Connect English taught dozens of pilots from China! Did you know that all pilots around the world are required to speak English? That’s why Connect English cooperated with flight school SAA International to train their newest pilots and improve their English communication skills. They especially needed to focus on their speaking skills, so the English MAX program at Connect English was perfect! Then in the afternoons the students received specialized group classes about aviation English. The students saw great improvement in their skills, and everyone loved having the pilots in our student community! 9. Had our biggest activity ever, 100 students went to Padres baseball! Wow, this was a good one! 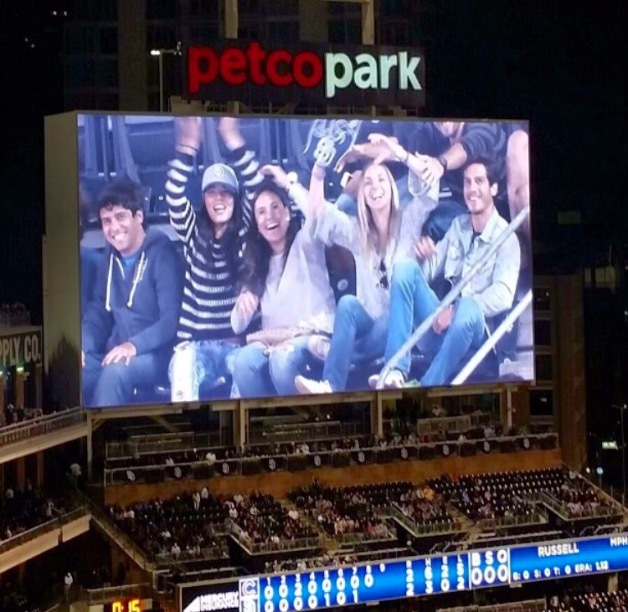 When Connect English started working with the San Diego Padres baseball team in May of 2015, we knew our students would be excited. But we were so surprised that more than 100 students participated, making it the most successful Connect English activity ever. Early in 2015, Connect English students began having the option of a free one-hour pronunciation class every week. The class teaches students how to carefully and effectively say vocabulary like “word” and “world” that cause confusion in many cases. This class will continue in 2016, with new pronunciation classes beginning at our Pacific Beach campus in January! Connect English is famous for having excellent TOEFL programs. So many students came to us for help passing tests and getting into universities, and soon enough they wanted even more. The IELTS program has now become another way that San Diego students can get into quality universities in the USA and around the world. Celebrating American cultural traditions is an important part of our students’ educational experiences at Connect English. Most students arrive in the USA with limited understanding of Halloween activities that Americans enjoy in October of every year. Students loved the opportunities to carve pumpkins, wear costumes, and visit the Haunted Hotel. Thanks to CONNECTober, so many of our students had an educational experience that they will remember forever! Future pharmacists often need to pass the TOEFL in order to get their license. They need ultra high scores in the speaking section of the test especially, where a score of 26/30 is necessary for approval to work in pharmacies in the USA. This year Connect English helped more than 40 future pharmacists reach their career goals by passing the TOEFL! If you’re reading this story, you’re already part of the new Connect English website experience! Check out campus information, photos, program options, visa support and much more at the new www.ConnectEnglish.edu. International students can depend on our new website as a resource for planning an excellent education experience in California! Connect English helps students get into real universities in the USA. Dozens of our students this year have passed the IELTS and TOEFL, and then gotten accepted to programs at real colleges and universities, like UCSD, Grossmont College, Mira Costa College, SDSU, and more. These schools require high TOEFL and IELTS scores, and our specialized training helped to open the doors to our students’ academic dreams. Connect English is always looking for the best. We always want great teachers because students are happy when their teachers give excellent lessons. This year we added three new teachers at the La Jolla campus, four new teachers at our Central campus, and three new teachers at our Pacific Beach campus. All have experience teaching around the world and in the USA! 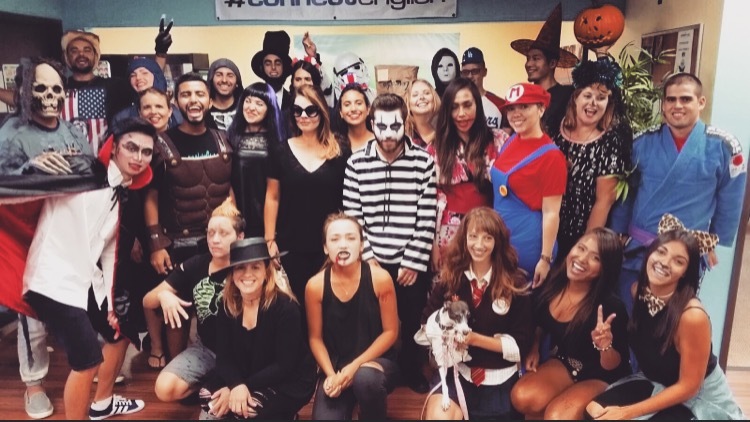 In January of 2015, Connect English opened its third campus in the city of San Diego. The new campus, in the popular community of Pacific Beach, was an immediate success. We received full accreditation in a very short time thanks to our high teacher quality, our organizational structure, and our level of student satisfaction. 2015 was a great year at Connect, so we’d like to thank all students, staff, teachers, agents and partners who helped us be one of the most recognized schools in San Diego. 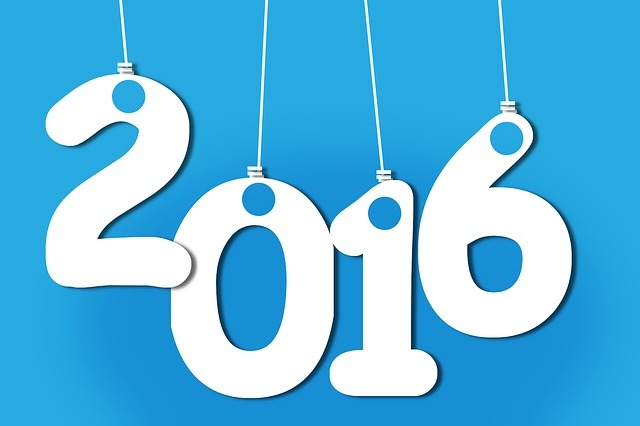 Are you ready for an amazing 2016? You can be part of the Connect English success story yourself. Contact Connect English to learn more! Do you like hiking? Do you enjoy a healthy challenge? How about climbing rocks and boulders to get to an up close and personal view of 3 beautiful waterfalls? Well, if you said yes to any of these questions, then you’re in luck! 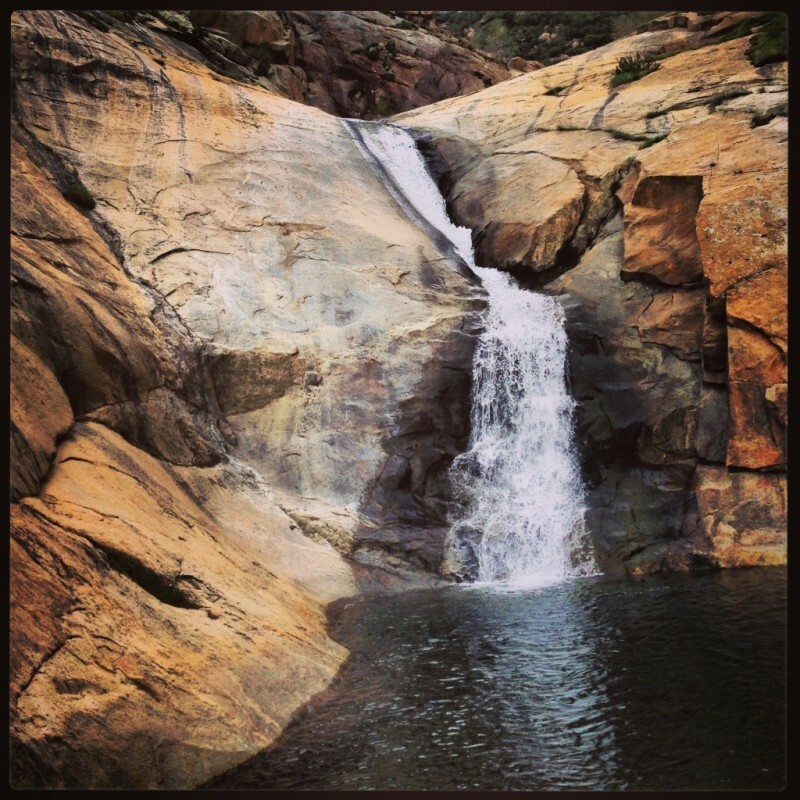 In Descanso, located just 20 miles east from the heart of San Diego, you can enjoy the quaintness of a small country town and breath-taking mountain views as you travel to the trail head of 3 Sisters Falls. The trail itself is about a 4 mile round trip and will take between two to three hours to complete. It is one of the more challenging hikes in San Diego so come prepared with some sturdy shoes or hiking boots and lots of water! There are some striking views of the surrounding mountains as you hike down into the valley where the falls are located. On a few sections of the hike you will need to climb some rocks, but don’t worry, there are ropes to help you on your journey. Once you get to the falls, you can sit and relax in the shade and take in the beautiful views of the falls and the valley surrounding you. Be sure to rest up because the returning hike is much more difficult. Be sure to go with a friend so you can help each other along the way. The best time of year to go is during the Fall or Winter so you can beat the heat. So go and enjoy this exciting, glorious hike!